With beautiful retro images the simplicity of Little Mouse Helps Out, reminds me of stories from my own childhood. Finnish author and illustrator Jantti’s second picture book follows a play date day for Little Mouse. As a mother of two increasingly independent ‘mini adults’ the scenarios and phrases are all too familiar. “I wants to pour the juice myself”, “Oops!” (It spilled on the table), “That’s all right;” said Mummy Mouse and she wiped it up. Ah Mummy Mouse, you have the patience of a saint, but it is only breakfast! Who’s toddler hasn’t grunted “my do it” or “I do it by myself”? The lovely simple drawings and demands of Little Mouse certainly brought a smile to my face. But neither of mine have ever offered to help clean the loo – Little Mouse, you’re hired! Mummy Mouse is my new hero – the patience and tolerance of a saint. I suspect she needed a little sip of nettle wine at the end of that day. I would say this is perfect for 2 to 4 year olds. Mine enjoyed the gentle flow and familiarity of the scenarios, but it was perhaps a little subtle and gentle to keep mine from wriggling. This sweet hardback book is £7.99 and is available on Amazon. Thank you to Scribe for letting us enjoy this book. This sweet, soulful book is an explosion of colour and warmth. “Up in the sky, amongst the stars there’s something you might not see … But over your head and just above there’s an umbrella of my love to show it’s you I’m thinking of wherever you might me’. The book taps into the real every day fears of children, covering fear of the dark, loud noises, change and anxiety. The message is one of support. My 6 year old seemed to be able to identify with some of the scenarios. It was me that was almost in tears at the little boy who had an accident and looked so ashamed. My son laughed! It could be that the poor lad was dressed as an elephant with a yellow puddle round his feet <rather than my first born being a callous deviant!>. The topics and emotions are relevant to potty-trainers, nursery and school-starters or any young child with worries or fears. I don’t know if the children will overtly notice, but the book is realistically diverse from Brian and his two mums, to Izzy being collected by her Grandma and Joe carrying his favourite doll. I love that these are just part of the fabric of the book. Beautiful quality hardback with embossed silver fireworks on the cover and thick matt pages. The vivid luminous colours and bonkers patterns are a feast for the eyes. In places we found the rhythm of the words a little off-beat, which interrupted the flow slightly. But the images are so beautifully full of emotion and there are some absolute stand out lines for me. “My love for you goes on forever” “Be still, breathe deep wherever you sleep you’re under my love umbrella”. The words and pictures are accessible for little ones and I’d say this book is suitable for children 2 – 5 years. Although my 6 year old enjoyed trying to spot the umbrella’s hidden on the pages and starting to read the words himself. It would be lovely to see their next book cover themes for the slightly older children, with the same background of warmth and joyous colour. This is every parent’s love song to their child and a comforting hug of a book. Available for £11.99 at Waterstones or Amazon. Why do we do it? Who reads it? After another epic Mumsnet Blogfest on Saturday, I’ve been reflecting on why I started my blog and what I really get out of it. In hindsight, I think it was a form of therapy for me. I wasn’t in good health, which meant more time languishing in bed than out on the razz. Long periods of time in bed can be fairly lonely. So I reached out for my father’s old laptop and started typing. As my first and favourite boss once said, I was “throwing sh1t at the wall to see what would stick”. As I was tapping away trying to find my style, I found myself thinking about my father, who had died exactly 3 years before my blog was born. There comes a point, after you’ve lost a loved one that they are no longer spoken of. You don’t have an outlet. I found mine and quite unintentionally let these 2 rather raw and candid posts flow out Mummy, you don’t have a Daddy do you? and children and bereavement. Perhaps this is why I really started my blog? I wanted to tell the world I missed my Daddy. Or was I just suffering a severe case of FOMO (fear of missing out) or rather MO. I’m a highly social creature, I thrive in the warmth of others. I need others. In fact, others is just what I got. I saw Mumsnet Blogfest advertised when my blog was just 2 weeks old and had a word with myself: I’m a grown up, I can go alone, it doesn’t matter that my blog is a foetus and nobody will know me. And I did it. That is where I met my first two official blogging pals Sally at Meet Other Mums and Louisa from Little Book of Sick. Thoroughly wonderful ladies and we’re only separated by a few hundred miles. Being reunited this year at #Blogfest16 was magic. After a few months of finding my groove, I found the blogger linky that felt like the most comfortable fit #coolmumclub. 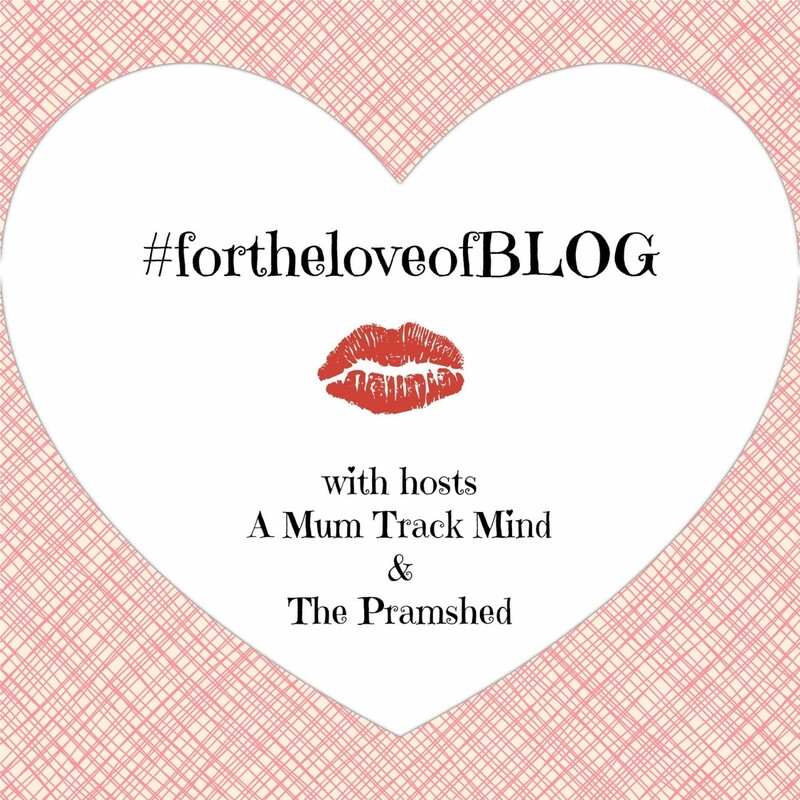 And thanks to BritMums ‘Brilliance in Blogging’ conference I met the wonderful linky hosts MotherhoodRealDeal and my virtual soul sister Mummuddlingthrough …. There’s no better way to get to know someone than through stalking them <I mean reading their blog>! Is blogging really a form of online dating? I started getting approaches from a few lovely brands asking if I would post their content. What did I think? I decided not to. Most of my writing is either soul-searching and heartfelt or a bit naughty and rather daft. It would be entirely incongruous to stick up a post about blinds I’d never fitted in my home or an internet service I’ve never tried. I looked at my most recent posts – a playdate, a wild Christmas party and … fitted blinds. As the same fabulous boss would have said “that sticks out like a poo in a wee shop”. Yes there is some wee in my shop, but no room for someone else’s poos … it would seem. However, I have been lucky enough to be asked to review a few really beautiful children’s books – which I have to admit has been an absolute blogger high for me. I love reading to my kids. I’ve been able to take my children to an amazing day of science at the Royal Institute and discovered a new place to get my bargain highs. Does it matter if anyone reads it? After a year I’ve reached the conclusion that it actually doesn’t really. This is my hobby and it certainly beats Zumba. It is wonderful to get comments from strangers who identify with your words, receive approaches from brands you love and even better when a friend or loved one checks in. But, this is my diary, the one that isn’t hidden in my bedside cabinet. It’s there when I need it, but I aint sellin it. To botox? Or b0110x to botox? Have botox and fillers become so normal now that there’s actually a pressure not to be left (sagging) behind? From mid 30’s-ish there’s no denying the Instagram or Snapchat filters are a woman’s best friend. We all know our best angle and are at least aware of the weird crooked-leg-model poses available – should the need arise. We know how to hide our chinny baggage in a selfie. We know how to dress to look slim. But we sail behind our boat race (face) come hell or high waters. There’s no hiding that one, unless you’re Sia or Blanket. According to British Association of Aesthetic and Plastic Surgeons (BAAPS) over 51,000 Britons opted for cosmetic surgery in 2015, it was a record year for the industry. Overall, there was a 12.6% rise in invasive cosmetic procedures. Notably however, botox was not included in this study. ‘Cosmetic enhancement’ seems wholly acceptable, if not common place. Where ‘plastic surgery’ is banished to La-La land. This wasn’t an issue to me while confined to speculation on Pop Sugar or in the pages of Grazia. But, now the needles are creeping into the foreheads of those in my circle. The front line is closing in. Living in the commuter belt and sauntering casually towards 40, I’ve become obsessed with spotting the frozen faced on our mums’ nights out. The trouble is, it’s just too damn good. The vials have outsmarted me. I don’t want to offend those who’ve had it, I really don’t. They’re the ones laughing (with their eyes), they look ruddy marvellous! So why does it bother me? Is it the rat poison being needled under their beautiful skin, or … am I jealous? I wasn’t spending enough time taking selfies, or even looking in the mirror to notice the feathery lines creeping in. I’ve been caught short. It’s no longer a level playing field. Is this in fact a race and those who don’t shoot up are being left behind? What will old look like? Will we forget? A male friend of ours commented recently “people are ageing better”, I snorted “thanks to botox, fillers and peels”. I’m becoming a bitter, crinkled, un-exfoliated crone! We are a generation quaffing pro-biotics, blitzing super-foods, indulging in hygge whilst happily having all our body hair lasered off and sand-blasting our faces. I may have one final, nasty confession to make before the diatribe is over. Should those who partied hard, popping pills, nailing shots and frying themselves in the sun for a decade or two simply be allowed to wipe away the repercussions, or should they wear their glory days like a badge of honour? For a mere £300 we can eradicate our pasts. Well, for 3 months. Then it’s time for a top up. Will I be begging for the hit in a few years time? Maybe, just maybe. How do you feel about botox? Ah Autumn, welcome back. We wouldn’t mind a sprinkling more of summer sun, but we’re ready for boots, blouses and beautiful winter coats. Who doesn’t love shopping for their Autumn Winter wardrobe? Item no. 1 for our AW16 wardrobe – some beautiful knitwear. We’re not quite ready to welcome the snow flurries, so some slim knits will work a treat for now. Look for metallic or animal print details in neutral shades for day or jewel tones for night. Find these and others from French Connection. But winter isn’t just about cosying up. With the promise of some sneaky, sparkly nights out, we need to be ready to shed the ‘mum uniform’ and slip into something a little more sassy. You don’t have to stray too far to look good on a night out with the girls. I often opt for a classic tee with a touch of embellishment; studs, sequins and lace are all a winner for a day to evening look. I own two of these lovelies. You will find them at a purse-friendly price from Warehouse and Karen Millen. The nights are getting longer, but our hemlines don’t have to! It’s too early for the C word <sorry Santa>, but it won’t be long before the festive parties kick-off and we want to be ready. Sequins, animal print, metallic foil skirts, embroidered and embellished, all these stunners are available at a snip of the price from French Connection. I hope you’re feeling inspired? I’m virtually salivating at the prospect of hitting ‘buy’. I’d love to hear about your top tips and key purchases for this season. Pssst, if you want to get ahead of the pack, you can register for a Black Friday sale alert too!